Wonder Woman Jacket, an striking replica for females now reveals. Every girl wishes to be dress like super girls but in an elegant manner. 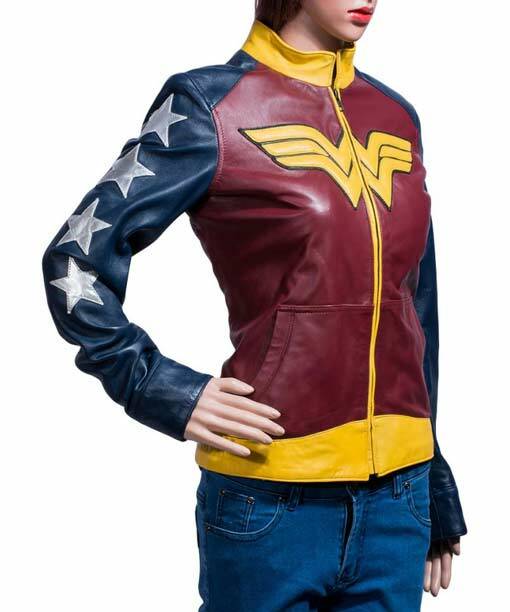 This outfit is costumed by the stunning lady named Diana Prince in Wonder Woman comics. This unique outfit is best for the woman who wants to direct their power and to rule all over the sphere by their skillful flairs. The supreme jacket is fashioned from the PU leather material with viscose lining inside. 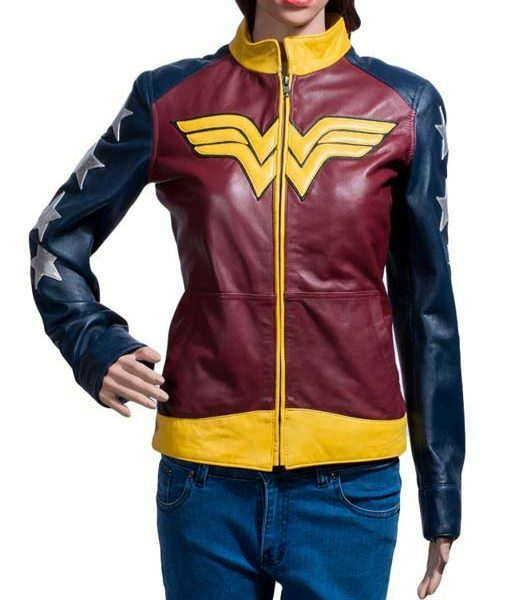 Wonder Woman Leather Jacket contains erect collar and front zipper closure with a wonder signature patch on chest. It has two hand pockets at the waist and styled with amplifying features of silver stars on sleeves. 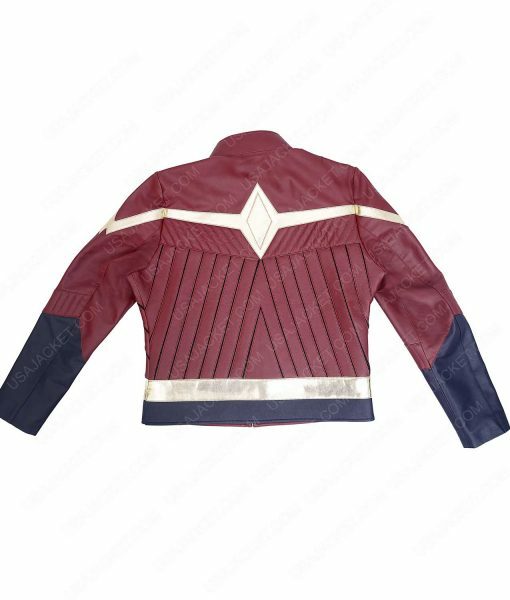 This warrior astounding jacket is now presented for you with exceptional and feminist features. I bought this as a gift for my wife. She found one of her friend wearing this coat and she said that this coat is spectacularly attractive. I ordered XL size for her that she usually wear and it fits a bit snug but acceptable. I will prefer to order one size up. Doesn’t matter if it will be loose a bit perhaps it’s better than a tight jacket. The quality of the jacket is good. Very well made and though it’s a nice looking jacket. I’m in love with my jacket. The jacket is exactly as pictured and it fits as expected. Select the usual size you wear. If you go one size up, it will be loose around the chest and the length of the sleeves can disturb you. If you go for one size down, you will regret by not breathing properly wearing this jacket. However, it is fake leather and there will be creases on this jacket in no time. The jacket is nice. I’m 5’7″ US Size 15. The sleeves of the jackets are few inches long in proportion to the body. I usually wear it folding the sleeves. The quality of the jacket is good. The colors are a bit different from the image. I’m 5’5″ bust 32″. I ordered Small for me. It’s a bit loose on the waist and the sleeves are bit long for me. The quality is good and there is no such problem that i should exchange this jacket or return for anything. Woah! Sassy and appealing. Being a female doesn’t necessarily means that you always should be in delicate mood and tend to wear fragile fashionables. 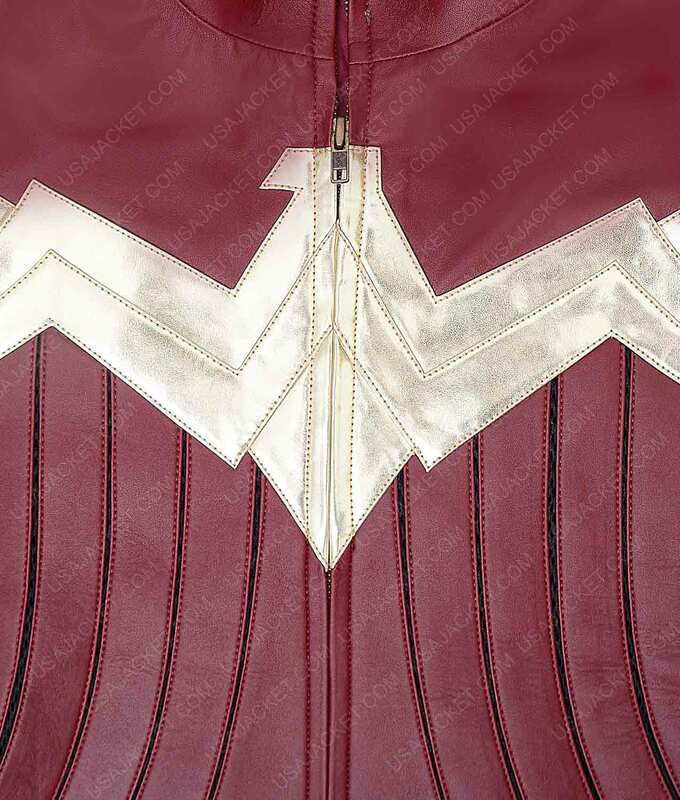 I mean just look at this wonderful Wonder Woman Jacket… just can’t get enough of it. Heavy-duty, Solid, Reinforced and Stylish all the way!! Ordered it last month and got it a few days back… ENTICING, FABULOUS, AND SHOWSTOPPER. Well done USA Jacket for bringing in class with accurateness of the on-screen original jacket. I love it. Thanks a lot!! 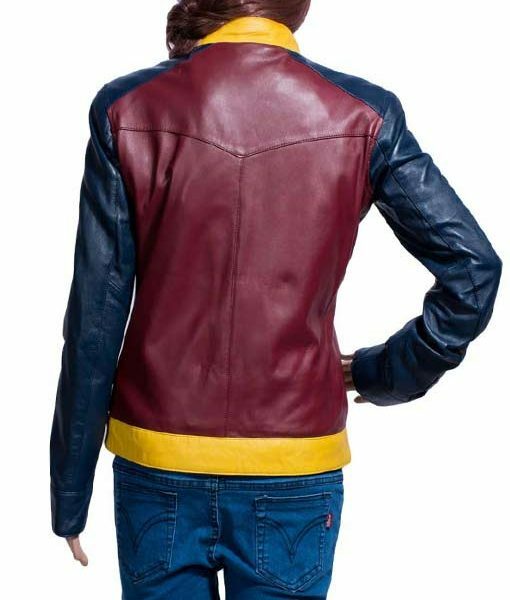 This Leather Jacket is really wonderful. Loves how strongly it’s made. The leather is synthetic but still its smoothly premium. Love its glistening shades when it reflects my room light. Super thick and sturdy. Measures about perfect – the S size for my 122lbs, 27 waist, and 32 bust. Perfectly befitting for my body. 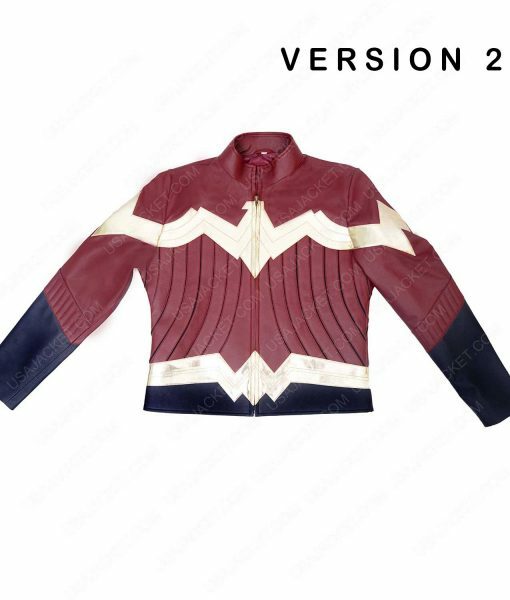 This Wonderwoman jacket is really beautiful and color shades are exactly how its illustrated here. Great outfit and I highly recommend it to all girls looking for something super funky. It happened to me yesterday’s evening that I received my Wonder Woman Jacket. Everything was perfect until I put this up. The PU leather as shown on the picture wasn’t that much of same quality. The fleece wasn’t flexible enough to fit my abdominal area that fits a 37 1/2 waist size (I ordered it in the medium), yet I feel a bit body-stricken from the inside. The least I could do to overcome my body fitting issue is to keep me zipper loosened up at all times. Otherwise this leather jacket is really good but at the same time it’s bad. Keeping this neutrality n mind, Im giving it a 3 star Review. Looking a local seamstress and if I couldn’t find one, I’ll ship it back to the place it came from to get it fixed.